With Christmas closing in so fast , I am excited and overjoyed like y'all , that I may go mad with delight.A drive through my neighborhood makes me feel like I am living in the magical town of "Whoville" , with houses and stores gaily decorated and decked up to celebrate the birth of Jesus Christ. There is happiness where ever you look,whoever you see,forgetting all the troubles they may have.There is hope within the sparkle of their eyes , and radiance on their face ; World indeed looks like a good place to live. Merry , Merry , Merry ; that's what you feel even in the frosty December air.. Though I am old and wise enough to know Christmas is not all about the gifts , I like having one for myself and for N , and for people I love ! Don't you ? The two pics above are Christmas-y lights from my home and NYC . 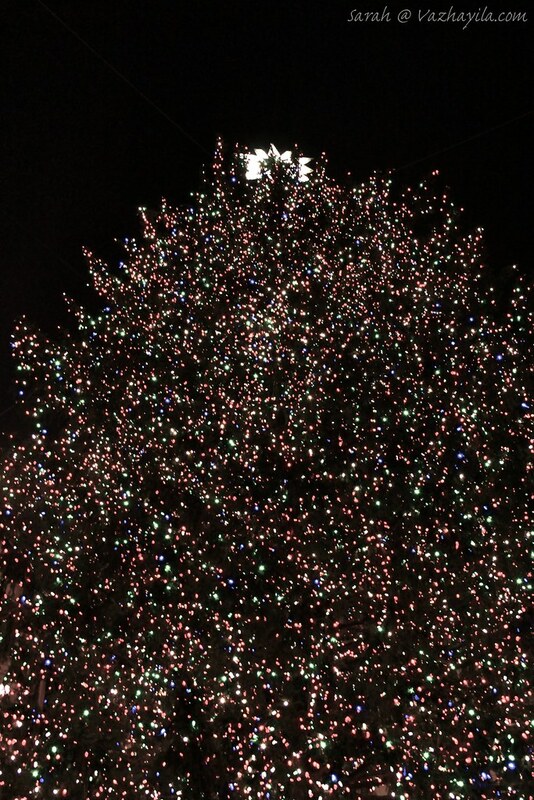 The second one is the Christmas tree from Rockefeller center .Doesn't it look like ruby and emerald sparkle of a diamond like star up above the sky? So magical ! For us , the Christmas party has started last week with lovely people , fun times and good food & wine. We have a long list of small Christmas dinners , in the coming weekends and I am so looking forward to each one of those ..mm..2011 Christmas so far looks like the best ever..
On the flip side , I definitely miss my parents and brother and the Christmas back home with cousins , but I am happy we are so blessed with so many loving people here , hence I am indulging in the "merry" around ! I have posted my mom's fish molee recipe in the beginning days of vazhayila , but this is more of a "decked up yet easy " sequel to the original one. 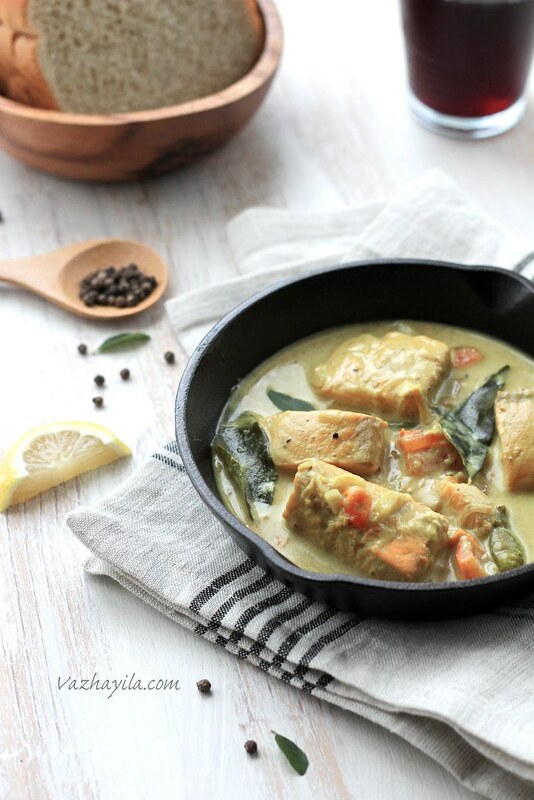 A no fried version , where Salmon is cooked in whole spices and ginger-garlic infused coconut milk and finished with a rich coconut - cashew sauce. After all , Its Christmas people ! Eat , Drink and be Merry ! The Christ is born! Soak cashew nut in water for 15 minutes . Heat oil in a wide mouthed pan and add cloves , cardamom and bay leaf and fry for a minute. Add curry leaves and onion and saute for 5-6 minutes. Sprinkle some water if needed in between. Add chopped garlic , and ginger and green chili and saute till the raw smell disappears. Add turmeric , coconut milk + water mix , salt to taste and combine well. Arrange fish and tomato pieces in a single layer an inch apart , cover and cook for 10 minutes. Uncover the pan , add garam masala and freshly crushed black pepper , mix in gently or shake the pan for the masala to get mixed in and cook covered for another 10 minutes or so. Uncover the pan , add the coconut milk- cashew mix to the pan , let heat through for a minute and remove. I prefer not to keep it for the next day , since its so full of coconut milk. Wish you a very happy Christmas Sarah! This is perfect with rice! Excellent post Sarah. I love Molee chechi ;). This is one of my fav, however I have different recipe altogether for this one. Wish you a Naveen a wonderful Xmas and New Year. OMG...one of my fav dishes....i will def try this recipe...I used to be confused with the different types of coconut milk but this is simple! 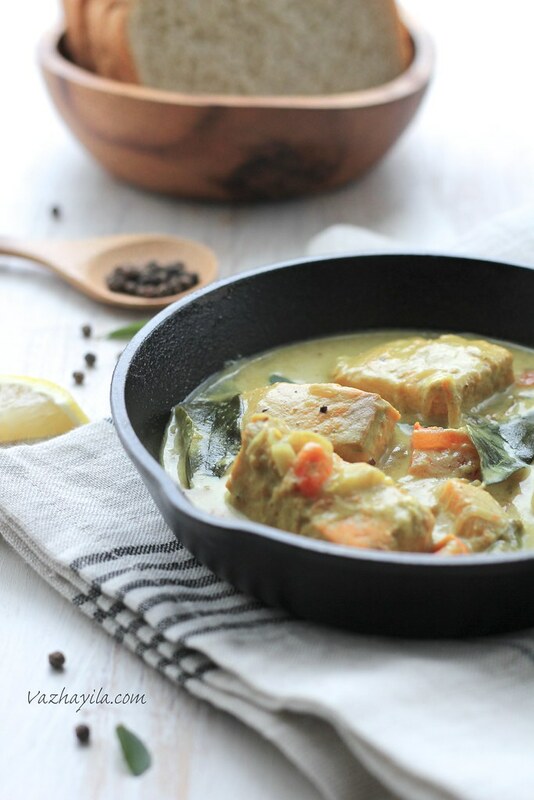 Happy Christmas dear....Delicious recipe and awesome clicks..
awesome fish curry..i love this with hot rice...This is my favorite..You have made it awesome sarah..Good clicks too as usual.. So creamy and delicious! Merry Christmas and Happy New Year! Wow!,Delicious and creamy fish molee luks awesome.Happy Christmas Sarah! thts a great variety lol. Xmas wishes Sarah, super delicious fish molee,inviting. Merry Christmas to you Sarah. 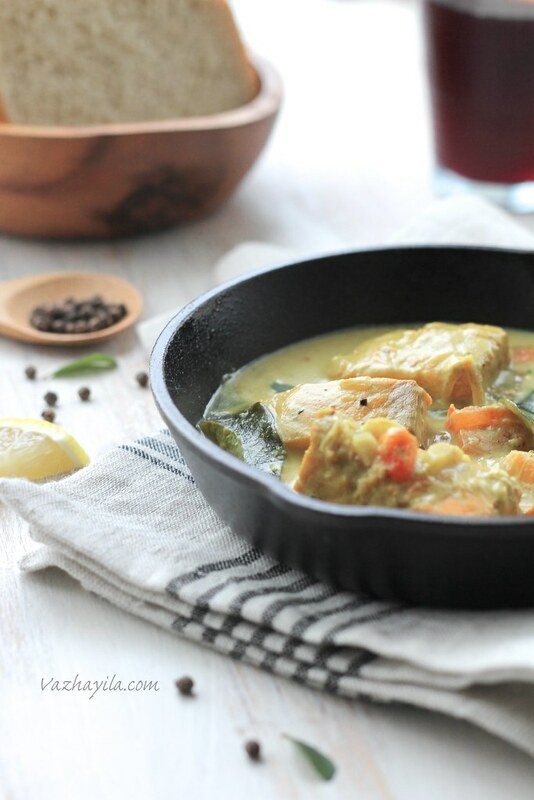 This recipe sounds fabulous with the cashew and coconut sauce and my favorite fish! Love this a lot,yummy n perfect for breakfast menus !! Wishing your family a Merry X'Mas !! Awesome pics Sarah and Fish molee is really tempting. 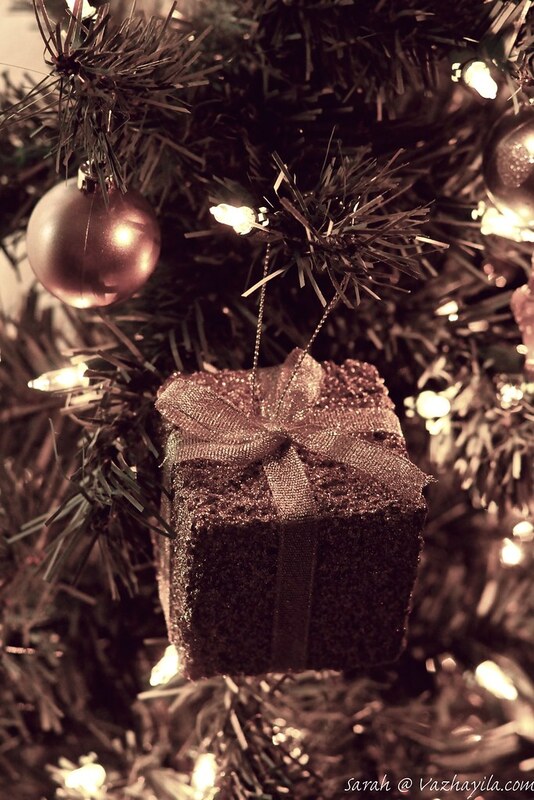 Merry Christmas to you and family :) Have fun and happy holidays!!! I'm going to love this salmon dish, your pictures are so nice with the detail (like the wooden spoon and peppercorns). I hope this is your Happiest Christmas ever Sarah, just sorry your family is so far away. So delicious! 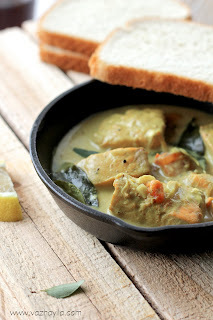 Just love the mild flavors and colors of this curry. Very beautiful. I have heard of this dish but never tasted it. Will try it now. This is mu Hubby's fave food. The clicks looks lovely. B'lated Merry Xmas to you dear. My fav curry in gorgeous pics...hope u had wonderful christmas..
Merry Christmas Sarah. Fish curry is my fav dish in the world. If I have to eat just dish my whole life, it will be fish curry with chemba choru. But I like fish curry cooked like in your post for Kuttanad meen curry better. That is my fav. @ Roshni...I have never had this curry with rice before. I don't think I would love that combo either..Like u said chemba choru + red fish curry is so classy ! Namitha chechi..We did :-)..Hope u guys too :-).. Marvelous and amazing snaps dear. Merry Christmas Sarah. Nice recipe....hope you had a great Christmas! A merry christmas and a very happy new year to you and your fly. You have an awesome blog. All the recipes and pictures are just wonderful! Happy to follow you. There are some awards waiting for you at my space. Kindly accept it. I hope you had a very, very merry Christmas, and will have a happy New Year! Wonderful post Sarah! Hope you had a great Christmas. Wish you a Happy New Year! Fish molee is my fav too. Bread and fish molee is a classic combination. We make it a little different. We fry the fish a bit before adding it to the curry. 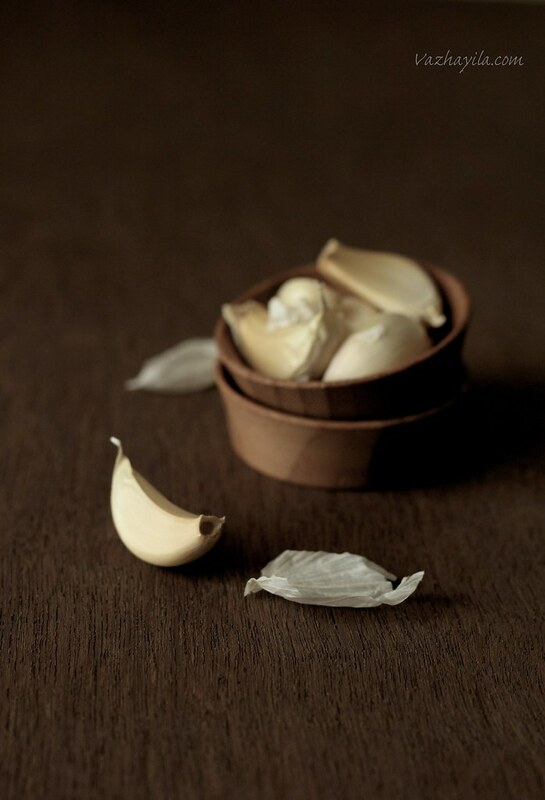 Beautiful Clicks and an awesome recipe. I just admire all your clicks whenever I visit ur space.. Loved this too very poetically expressed and so true..Your blog is one such place too Sarah..Wishing you and ur hubby a happy 2012. Gorgeous ......gorgeous......gorgeous pics Sarah and a very happy new year to you :) . First time here....what a beautiful space..filled with yummilicious recipes......love keralan food so youve got me hooked.....got lots of recipes bookmarked....Cheers! Happy New Year! Got here after some blog hopping. Being a fellow Mallu absolutely love the blog title! Great pics and recipes. Not a big fan of salmon but got to admit the pics are tempting. have a nice day and one more, i loved your blog name, it signals 'nadan' way of life. Wonderful to meet you here in vazayila, and read your recipe's too. exceptionally beautiful snaps and how did you manage to add them in such wide format and resolution., please do advice the techniques . Sapna ..i don't do anything "special" about the pics..there is options with in blogger to change the pic size to from small-xl ...Since i ran out of my pic capacity in blogger , i host it on flickr..tats it :-)..About resolution, i always use the original size from the camera ...Hope this helps..
Hello sarah, I tried this yesterday for my daughters b'day party , everyone loved it very much...... I make your lemon pickle every month, its just perfect for us. Thanks and keep doing updating more recipes. Know what? Sometimes, simple things turn out to be the most aesthetic ones , just due to Nadan flavors…it was the “Kerala Beef Pickle” that impressed us as the first thingy. Then the rest happened…one of the swells from “God’s own country” made us copy it , “Meen Molee”!